Discussion in 'Replica Props' started by bbielecki, Oct 21, 2011. I do not remember how I came to this forum. A few month ago, I found on instructable a tutorial to built an arc reactor and tryed to start with building my own one. With no success at the moment. Project is in stand by. But I got pationated by all what I read here. I'm writing you from France. I'm 37 soon, and I'm a huge Marvel comics fan for years now. So ... 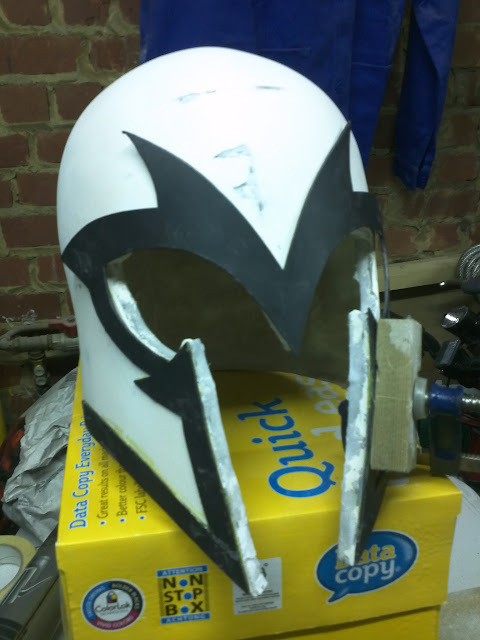 I started to build many props at the same time, and here is a thread about my version of the Sebastian Shaw / Magneto helmet you can see in the latest X-Men movie. 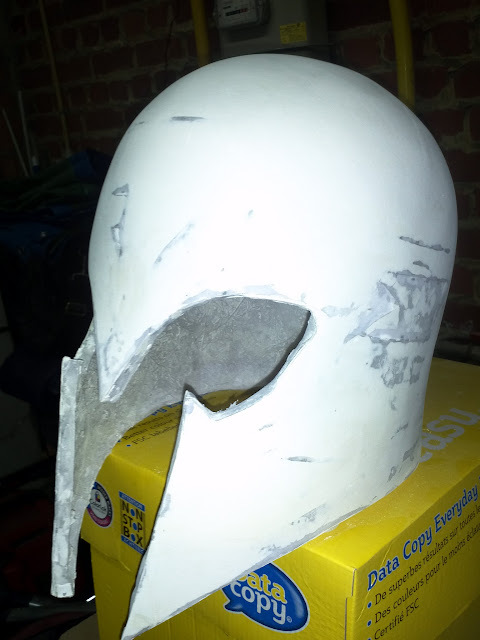 I started my built from the pepakura version of the helmet. 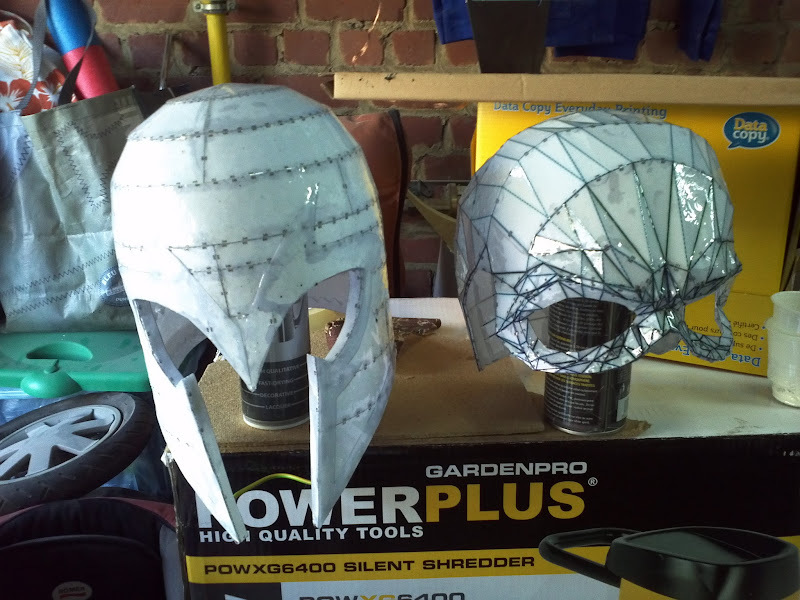 Wich one was fiberglassed with polyester resin, and then finished with 'what you call bondo', arms, sand paper and a lot of time and pain. 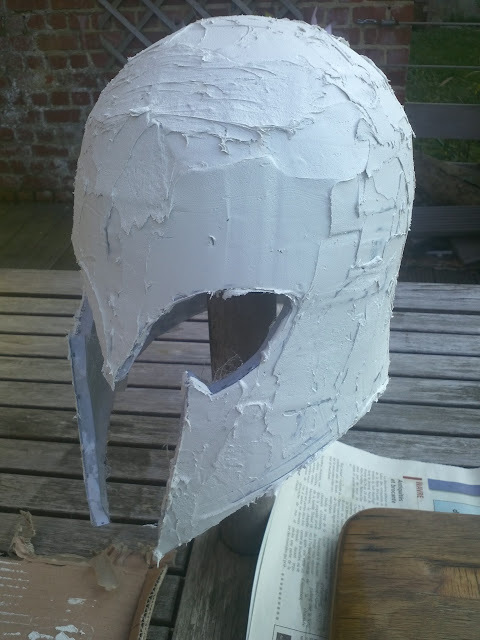 The decorative patern was cut in a plastic bucket and stuck on the helmet with neoprene glue. Here is the result at the moment. Hope you'll enjoy my first try. WOW! Un excellent début! Pourriez-vous expliquer les matériaux que vous utilisez? Il ressemble presque en plâtre? The bondo I used was bought in a car center. It's made to repair car body. I guess it's the exact same thing as the bondo on the other side of the ocean. It's composed of a light grey paste that have to be mixed with a pink hardener. When it dryes, it's becoming lighter and near to white. This explain the aspect I guess. So there are some french speeking people here. Nice ! This week end I will work on the opening edges to make these angles that make them movie accurate. Je vais bosser ce week end sur l'ouverture à l'avant. 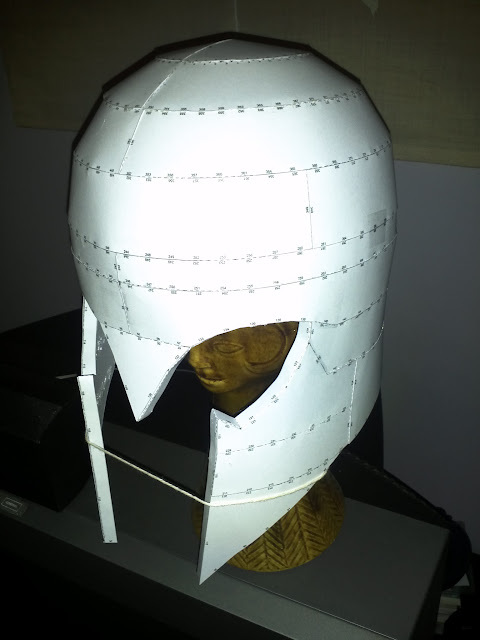 Je dois faire les angles pour que le casque ressemble à celui du film. When I read the thread's title, I thought this was going to be a Return of the Jedi Darth Vader Reveal helmet! Your progress looks great. I can't wait to see the finished product. Not to rain on the parade, but all posts must be in English. It's in the Code of Conduct. The Shawshank Redemption "His Judgement cometh and that Right Soon"
My first steps to Shawshank!